It is really pleasing to ears and remarkable thing to treasure when the day of reaping all of the fruits of our labor comes. After all of those experiences, hardships, hard work, dedication and faith of the work that we have in this business, we came to the time of reaping the blessings we have for the past just ended year. Great honor and palpable gifts were being prepared for every one of us to claim. 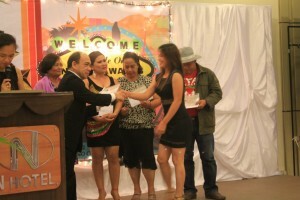 As one of the big names of developers in the city of Cagayan de Oro, Pueblo de Oro had conducted it’s postpone awarding ceremony to all those sales persons and brokers who deserve for their names to be mentioned and call up stage with the ever-marked selling performance they rendered and the client oriented service they had. 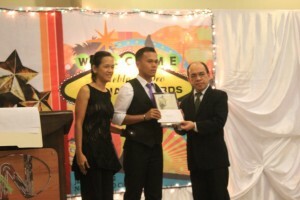 The said awarding was done last Friday, January 13, 2012 at N-Hotel. The theme was about Vegas, which made all of the brokers and sales persons clothed beautifully, brilliantly and magnificently presentable. The known realty groups were there and had enjoyed the night with full blast of confidence due of the prepared program and food, also the location which made the celebration successful and marked up with the glistering looks of every body. 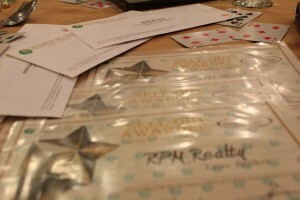 Awards were being given for those people in different realty groups, who really deserve with the complete and satisfying full service to every client for the said year. Of course, the RPM realty and the personnel were being called on stage with the honor, pride and the beauty, of course! The experience is worth remembering for, especially for those new members in the realty group we have. That was really a good exposure, and remarkable. It is just one of the brokerage field expressions in dealing with the people involving the business. We are thankful for the said awarding that, with the service and performance we had, we were being recognized through it by the developer and the management. And that, we happened be a part of our clients’ ambition to acquire a property here in uptown area. For all the rewards and honor we received last Friday, we would like to extend our gratitude to Pueblo de Oro and its management, for having us all to be part of the game and of the business last year. Thank you and opening your doors to all of us to serve you and the client, sell, and perform for the year. All of the materials you gave us just like the PKS and other training seminars are really worth it. Thank you and we are still on the mode and line of making our goal to be reached, and still on one thought of you, to serve and provide our clients the service, house product and the comfort they need. One again thank you for the opportunity and we are looking forward to perform the more than last year!